1. If you want to be a writer, you have to be willing to learn, be rejected, and work hard. 2. Wherever you are at in your writing expertise, you have a lot more to learn. Be teachable! 3.There is an overwhelming amount of information and options on the internet. Find a few resources/blogs/people you trust and stick with them for most of what you need to know. It gets very overwhelming doing random searches for information, so do it sparingly. 4. Major publishers are harder to get in than ever. If you don't have a following of thousands of people already, expect it to be nearly impossible. I know that's disappointing, but I'd rather tell you now than tell you that after you waiting 6 months for a rejection letter. 5. Subsidy publishers are eager for your book, but that's because you will be paying them and so they will make money whether you do or not. I have not heard of one yet that has worked out to an author's benefit. Be very careful about any publisher that makes you pay them first--and that's not for printing books, it's for the actually publishing of your book (and possibly some "marketing" on their part, usually this runs in the thousands of dollars before you ever see your first book). 6. Self-publishing is easier, cheaper, and you get a book a lot sooner than other options, but know that you are the 100% sole marketer responsible. If you are self-motivated, have a great message, and believe in your book, this can work great for you. Self-publishing is also good for someone who only wants to run a few copies rather than ordering hundreds up front (if you do POD--Print On Demand-- rather than one that starts the print run in the hundreds of copies). 7. If you choose to self-publish, PLEASE create a good product. I can't tell you many books I've seen and read from amazon that have typos, grammatical errors, very homemade covers, or just aren't good writing. Kindle and POD have helped make self-publishing not the stigma of lack-of-quality it used to be, but books like that put the whole group down again. 8. Whatever you decide about publishing, get an editor, or have lots of people read the book before you ever put it out there. You can have 50 people read it, and the 51st will find that elusive typo everybody else missed. Believe me, it happened to me, except the person was about the 450th and the book was already on the market! Find people who will give honest feedback. This is one of my favorite parts in the process because I get to experience my book from a new reader's eyes. What was confusing? Did I get a fact wrong? Can I make this clearer? Is is age-appropriate? ...and they lived sappily ever after....oops, I mean happily ever after! Let's eat grandma...or rather Let's eat, grandma. He was doping...I mean hoping. 9. Print-On-Demand is the cheapest way to self-publish. I'd recommend Amazon's Createspace. They are user-friendly, have great customer service, and are connected with Kindle, so you can put it up easily on e-book as well. I sell about 3 e-books for every paperback, so getting in with Kindle is important. 10. Spend time on the extras. You may have a fabulous book, but if the two paragraphs on the back are boring, people aren't going to read it. Why spend so much effort on the inside and then fall short on your author bio or your back cover or the one sentence you put on the cover? 11. Invest in a great cover. People say you can't judge a book by its cover, but we all do. With Amazon especially you're not picking books off shelves and looking through them. 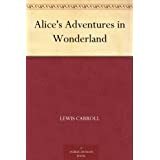 People are scanning pages and pages of covers and if yours is boring, or worse, looks cheap, there are millions of better ones to choose from. If you don't know what I'm talking about, just go to amazon.com and check out the covers. If you're a famous classic, you can get away with this. If you're a new author with a book nobody knows about...I wouldn't buy it. Would you? 13. Don't use God as an excuse for poor quality. That may sound mean, but agents and publishers get real wary when someone says, "God gave me this book," or "The words are Gods so..." and then proceed to say that's why the publisher really should want to publish it, or they won't take suggestions for improvements. If God had called you to build houses, He would still expect you not only to learn how to build houses, but to build them well. If you just started nailing boards together, telling people God told you build houses, you would get a bad reputation and actually dishonor your testimony rather than honoring God. So if God has told you to write, do so, but work at becoming the best writer you can be so your work honors Him. There you have it. If you've learned some good lessons along the way, add to my list! It's always great to learn from someone else, especially someone a few steps farther up the path than we are. Helps us see potholes we might miss from our viewpoint. 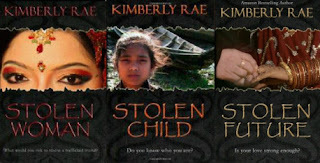 Kimberly Rae has lived in Bangladesh, Uganda, Kosovo and Indonesia. She has been published over 250 times and has work in 6 languages. Her series of book on international human trafficking (Stolen Woman, Stolen Child, Stolen Future) are all Amazon bestsellers. Find out more at www.kimberlyrae.com, or read more writing tips from Kimberly on her blog.! Thank you again and God bless your day!